Living in the red ink or full of debt must be exhausting. You cannot life freely as you want. 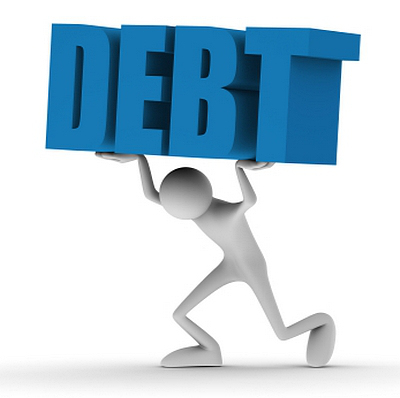 Living with debt means that you have to save extra money for monthly payment. When your money is spent for paying debt, you don’t have a great opportunity for making investment or any other needs. Actually, this activity can give bad effects to your future. However, you have rights to be free from the red ink. We have some remarkable tips to be free from debt forever after. You can ask to yourself whether the credit card is important or not. Most of people get serious and huge debt bill since dealing with credit card. This is true that credit card makes your life become easier. You don’t need to bring cash for shopping by using credit card. Unfortunately, this joyful transaction makes your future in the red ink. If you cannot be punctual in paying the credit bill, you will have extra more bills in the future. Therefore, you are recommended to stop making credit card transaction if you cannot be punctual in paying the shopping bills. The second way to be free from debt bill is being honest to your income. It means that you have to know how to spend and manage your income. You must be smart and selective to deal with the most prior needs. This is better for you to avoid high-standardized life style to make your life happy and free from the red ink.